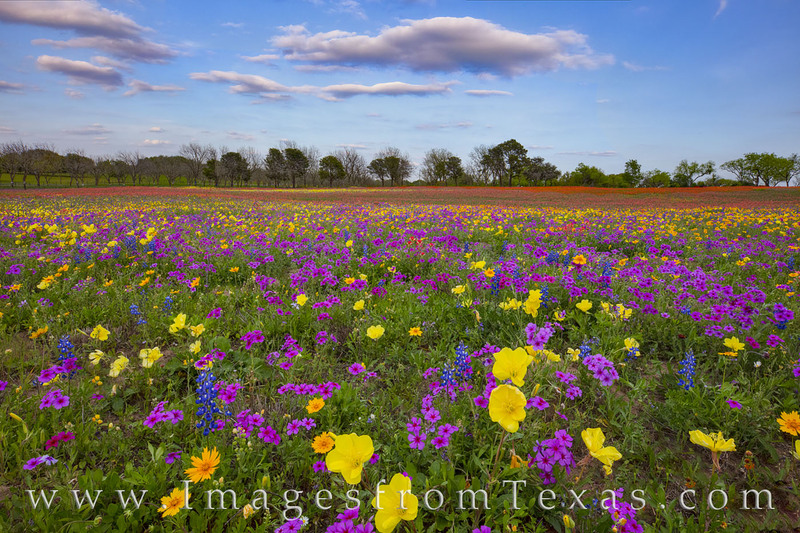 Wildflowers of purple and gold and red fill this pasture near New Berlin, Texas, on this late afternoon. The colors were vibrant, the sky was perfect, and all was peaceful in this rural community. Thanks to the kindness of a land owner, I was able to photograph this amazing landscape inside private property, thus allowing me to find better angles and truly show the magnificence of this spring season. Photo © copyright by Rob Greebon.